I hope this blog will serve as a outlet for the farm to alert all of its supporters about farm news and updates, as well as to provide some recipes and maybe even a cooking video or two down the road. Sign up with your email address to receive Stone Farm news and updates! Happy Spring! We thought we would write a quick blog post to give an update on what is new at Stone Farm. Yes we are alive, well, and excited for a 2019 season! We have been very busy with projects around the farm to increase efficiency and the quality of vegetables we produce. We got a tractor! We are committed to utilizing the tractor very sparingly in the garden (we are moving more and more towards low-till methods), but it will be a huge help with general property maintenance (mowing fields, clearing snow during winter, maintaining driveway etc.). Hydraulics make everything SO much easier. We added another member to the family- Hadlee a two year-old Goldendoodle! She came to us as a rescue from NH- very friendly and still a bit rowdy (although she is getting much better as we continue to enforce ‘manners’). You will often see her barking at the moon, chasing ducks, digging mammoth holes in random places, rolling in poop, and searching the property endless for nasty dead animals. Our search for fresh water continues (the new well we drilled when renovating the house is salty…joy). Here is one of three, 20 foot+ holes Mark Welch & Sons, Inc. dug to try (<key word) to find water for a dug well. Sigh…. For now, we are lucky enough to use the property’s original 100 year old dug well. We are currently working on renovating a corner of our barn to create a centralized, high efficiency washing/packing area for produce with sinks, permanent plumbing/tables, a 300 gallon stainless steel tank for washing bulk greens, and a homemade commercial salad spinner. 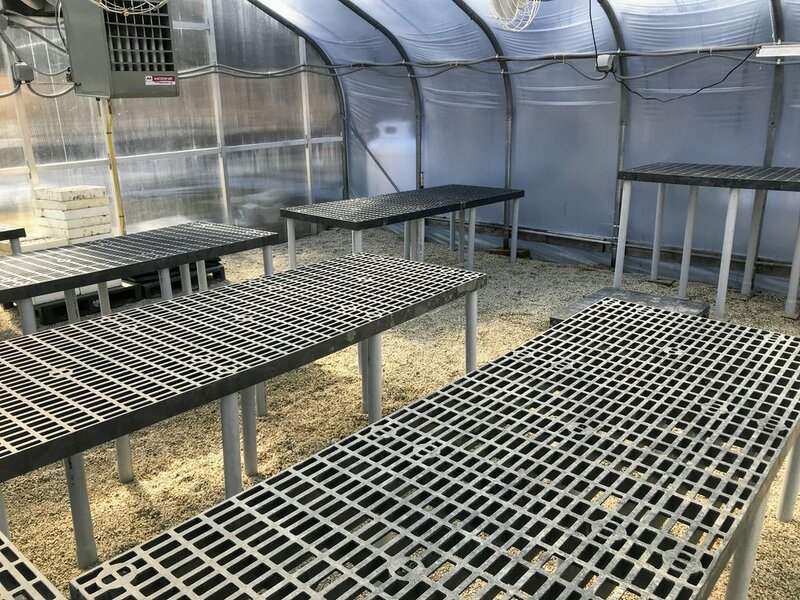 Lastly, we are putting the finishing touches on our new microgreens/seedling greenhouse compete with a potting bench, heat, and water! We hope to begin growing microgreens/seedlings in a couple short weeks. Microgreens should be available almost year-round from this space. Be sure to continue to check this blog for future farm/farm stand updates! Farm stand should be back open with produce and local products May/early June. Hello Stone Farm supporters! Happy spring! I thought I would write a quick blog post updating everyone about the current status of Stone Farm and it's 2017 plans. We are currently hard at work at renovating, building key infrastructure, and and planting for the 2017 season. We are just a tad bit excited. The plan for this year is to focus on our farm stand which will be at the end of the driveway at 726 Limerick Road. We also plan on continuing to work with our very supportive local restaurants. Permission and building permits from the town have been obtained and within the next few weeks you see construction begin on the farm stand. It is going to be a very modest structure this year with the hope to rapidly renovate as sales increase. Be sure to continue to check this blog for future farm/farm stand updates and subscribe to our newsletter list to the right! Hello Stone Farm CSA members! Check out the CSA store for a new list of offerings for this week. There are some new fall items on the list including butternut/delicata squash and spinach! Green beans (two kinds!) and beet bunches are available for a very limited time before the frost official claims them. This week's pick up will be on Thursday, 10/1 since I made a dermatologist's appointment at the most inconvenient time of the day possible on Wednesday (...farmer skin cancer paranoia). Like last week, pickup will be on this coming Wednesday, 9/23. Hello Stone Farm CSA members! Below is the complete list of Stone Farm offerings for next week. New additions for this week are radishes, kale, cabbages, and melons! Like last week, pickup will be on this coming Wednesday, 9/16. Hello Stone Farm CSA members! Below is the complete list of Stone Farm offerings for next week. Look for beans to be available soon in addition to radishes, salad turnips, and more. Like last week, pickup will be on this coming Wednesday, 9/9. Hello Stone Farm CSA members! Below is the complete list of Stone Farm offerings for next week. Salad greens, broccoli, TOMATOES and arugula are back on the menu! For the fall we will be transitioning to one drop off day per week- Wednesday! I go back to nursing school next week....o' joy! This week's produce- sorry for the very late notice! Hello Stone Farm CSA members! Below is the complete list of Stone Farm offerings for next week. So sorry for the VERY late email- between working a second job and shopping for a new home for Stone Farm life can be just a little complicated. Drop off this next week will be Tuesday and Thursday per usual. Look for tomatoes to start next week! Drop off this next week will be Tuesday and Thursday per usual. Hello Stone Farm CSA members! Here is a list of produce available for next week- same list as last week although summer squash will be in fairly limited quantities as we are in limbo between successions. Hello Stone Farm CSA members! Sorry for the delayed email this week- the family and I spent Wednesday-Saturday on Belgrade lakes (gorgeous). Here is a list of produce available for next week. Salad greens and Arugula are back on the list with basil being a new addition! Hello Stone Farm CSA members! Here is a list of produce available for next week. Look for salad greens to be back on the list in couple weeks. Please note, drop off this next week will be WEDNESDAY ONLY due to a family vacation on Belgrade lakes! Belgrade Lakes- Belgrade, Maine. Absolutely gorgeous. Hello everyone! Here is a list of produce available for next week. Carrots and french greens beans are in the house- two of my favorite vegetables. See bolded items below for more new additions. Drop off this next week will be Tuesday and Thursday. Drop off this next week will be Tuesday and Thursday. Zucchini and Summer Squash will be in fairly limited quantities to start as Peas and Broccoli wind down (for now). Look for greens beans starting very soon! Butterhead head lettuce! A super crunchy addition to the salad mix as of late. Hello everyone! Adding one more item this week- broccoli! (pictured below) In addition, here is the list of items available for next week. Hello everyone! Adding a few more item this week- baby green cabbages (homemade coleslaw for 4th of July anyone? ), green sugar snap peas, and beets. In addition, here is the list of items available for next week. Wow! June is almost over- this summer is going by so fast. Adding one more item this week- baby kale! In addition, here is the list of items available for next week. Drop off this next week will be Tuesday and Thursday. 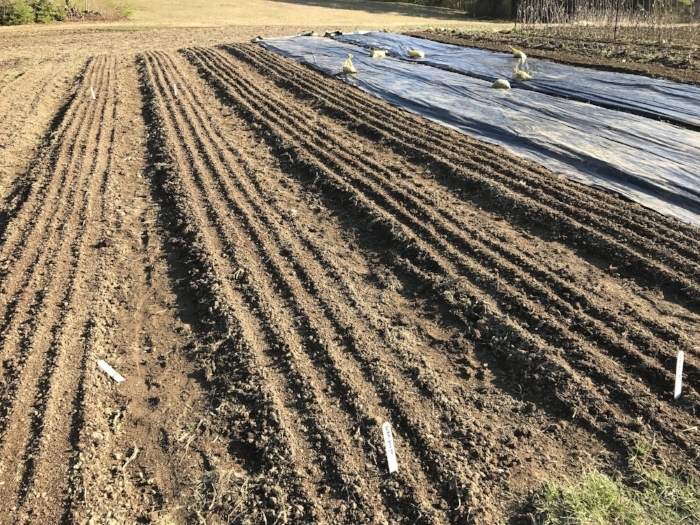 Look for peas and beets starting next week! Hello everyone! Adding one more item this week- radishes! In addition here is the list of items available for next week. Drop off this next week will be Tuesday and Thursday. Like last week, please note that there are 4 different shipping options at checkout (2 days for each of the 2 drop off locations). Drop off days will be Tuesday and Thursday for the foreseeable future with some very very minor variation (if any). P.S. Carrots are doing well- should be available in a few weeks! Coming very very soon should be peas and more! For salad greens and Arugula I am upping the bag weight from 4 ounces to 6 ounces this year. Pricing has been adjusted accordingly (some were low, some were high...). Drop off this next week (week of 6/8) will be Tuesday and Thursday. Like last week, please note that there are 4 different shipping options at checkout (2 days for each of the 2 drop off locations). Drop off days will be Tuesday and Thursday for the foreseeable future with some very very minor variation (if any). Hello everyone! One more spring item will begin shipping this next week- Spinach! Selection is still minimal for now with production rapidly building as the season progresses. I will also be continuing to offer spring dug parsnips! Drop off this next week (week of 6/1) will be Tuesday and Thursday. Please note that there are 4 different shipping options at checkout (2 days for each of the 2 drop off locations).